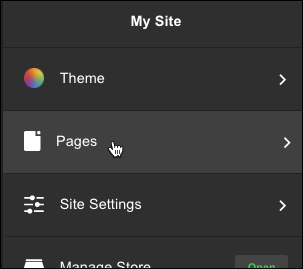 You can move a section from one page to another in your GoCentral website. 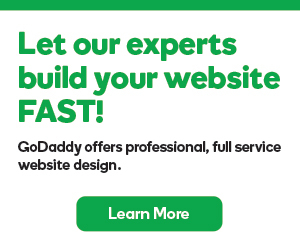 This can be particularly handy as your site grows, and you need to reorganize it. 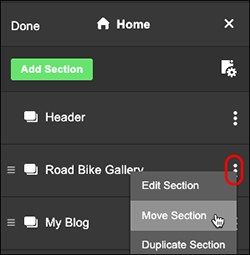 It's also useful for moving a section that you've duplicated. Find the page containing the section you want to move (Home in the example below). Then find the section you want to copy, click the three dots to the right of the section's name, and select Move Section. 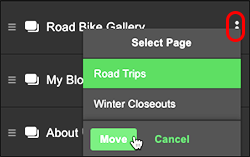 Use the Select Page menu to choose where you want to move it, then click Move. A Moved confirmation appears, with a link to the destination page, which you can click to see for yourself that the section was moved.